I love sleep! Especially as a father of two small girls – which makes every full night of sleep feel like a tremendous blessing. Did you for example know that a mid-day nap makes you more productive? Such a short and simple quote, yet it leaves us wondering what it’s exact meaning is. Should we skip meditation altogether, and sleep instead? 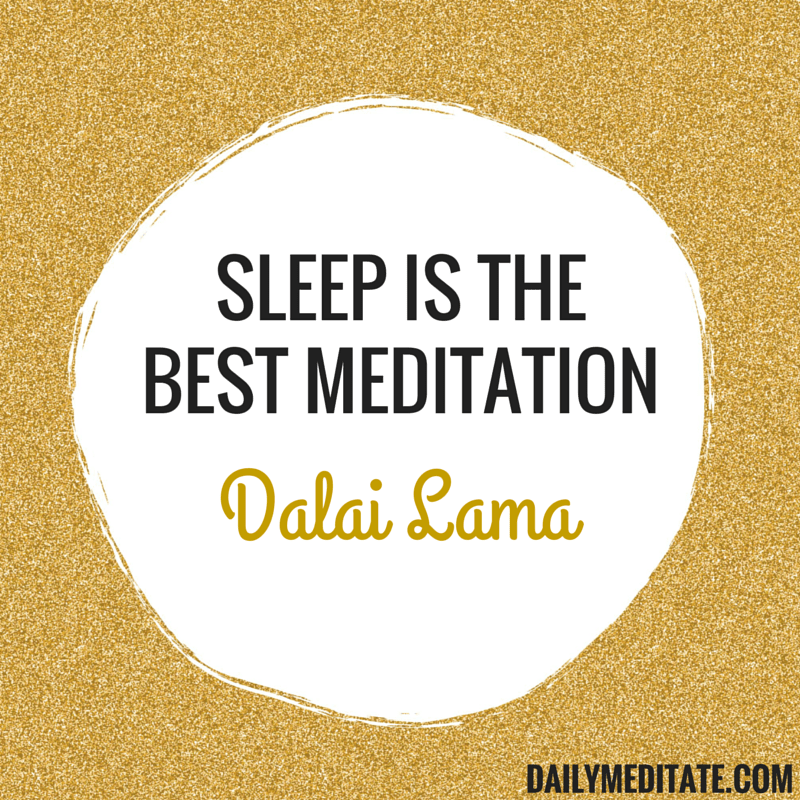 Does the perfect sleep have a special quality that waking meditation does not have? Did Dalai Lama really say this? And until I get a definite answer about Dalai Lama’s quote, I will continue to embrace both for their own magical qualities!